Book a skilled gutter cleaning expert in Sacramento. Backed by a total satisfaction guarantee and amazing customer support. 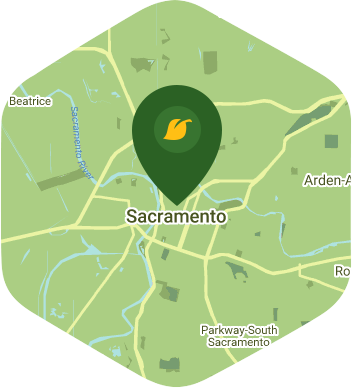 Sacramento is the capital of California, and is one of the most ideal places for putting down your roots in. It is a family friendly city that has plenty of tree-lined neighborhoods, great schools, and state parks that will really make you proud to call this place home. Whether you're checking out some art at the Crocker Art Museum or riding your bike while admiring the view at the American River Bicycle Trail, the city of Sacramento has something for you to do. If you want to do any of these things, you're going to need to give yourself some free time. This means letting Lawn Love take care of your gutter cleaning. Gutters are a very important part of your home as they redirect the flow of water from your roof. Not cleaning them regularly can be dangerous as they can overflow and cause damage to your home and surrounding property. At Lawn Love we take gutter cleaning seriously and have a team of independent lawn pros who are not afraid to do the dirty work to make sure your gutters are thoroughly cleaned. You can use our mobile app or our website to setup our gutter cleaning service, and it can be done in only a few minutes. Don't wait for your gutters to get clogged. Let Lawn Love help you by calling at 916-256-4028, or asking for a . Rated 4.77 / 5 stars in 1,024 Sacramento customer reviews. Dusk and dawn are the best times to water your lawn (the sun will rise at 6:17 AM and set at 7:51 PM today in Sacramento). Average lawn size 3,134 sq. ft.